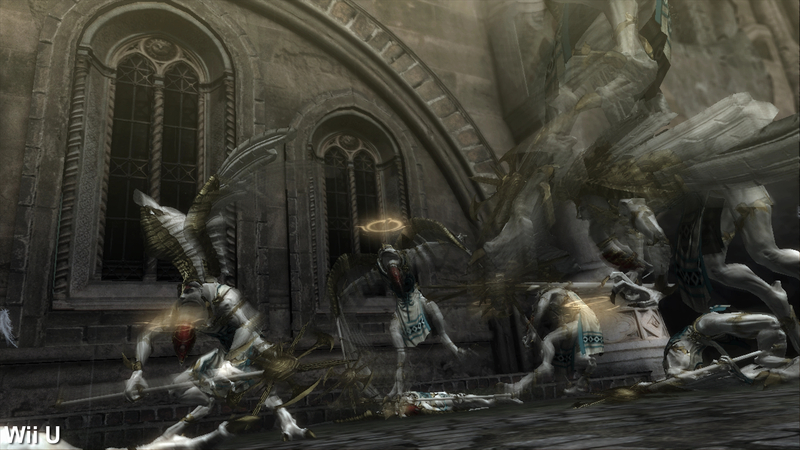 The new Wii U port takes on the Xbox 360 original - and the infamous PS3 conversion. 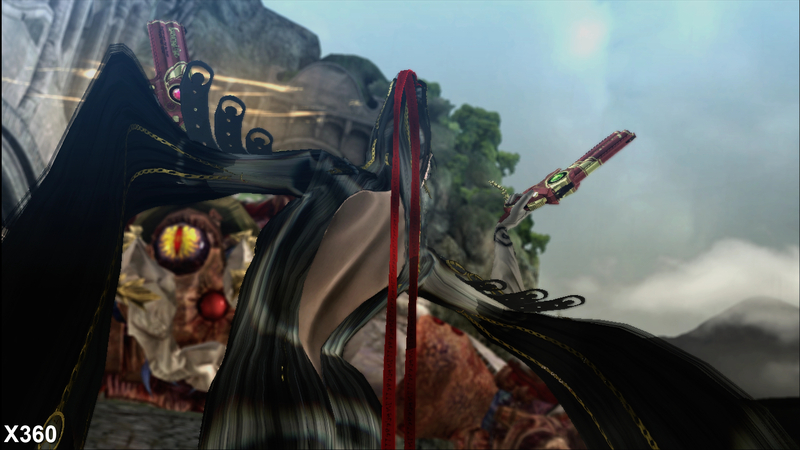 When it was revealed that the original Bayonetta would be ported to the Wii U, fans were ecstatic - but perhaps a bit apprehensive. Despite the wildly different circumstances, it's difficult to erase the legendarily bad PS3 port from memory. This time around, Platinum sought the aid of Bee Tribe Digital Studio, who also had a hand in the original 360 development, vowing to work closely together to avoid making the same mistake. Still, as a game seemingly tailored very specifically for Xbox 360 hardware, there were lingering doubts as to whether a Wii U version could really achieve parity - especially in light of the less than rock-solid performance of its sequel. Right out of the gate we see the game operating at a familiar and expected 1280x720 with no hint of anti-aliasing - just like previous iterations, and indeed Bayonetta 2. Image quality still isn't anything to write home about, especially in 2014, but it generally works well enough within the confines of the game's wicked fast action. It could be argued that the slightly muted colour palette and less complex scenery actually serve to create a slightly cleaner overall image than its sequel. It also looks particularly nice on the Gamepad screen, with its lower resolution effectively down-sampling the image, eliminating aliasing in the process. On PlayStation 3 textures suffered a great deal, perhaps due to its split-memory architecture and lack of developer familiarity, but we're happy to report that all of the original 360 assets are present and accounted for on Wii U. Textures are presented at full resolution with their normal maps, which were often missing on PS3. In fact, this new release sports a more pronounced detail texture layer applied to many surfaces, creating the impression of increased high-frequency detail along select surfaces. That said, we noted a select few instances where textures appeared slightly garbled or incorrect on Wii U, such as the textures adorning the clock tower during the game's prologue, but this didn't appear to crop up regularly enough to create problems. 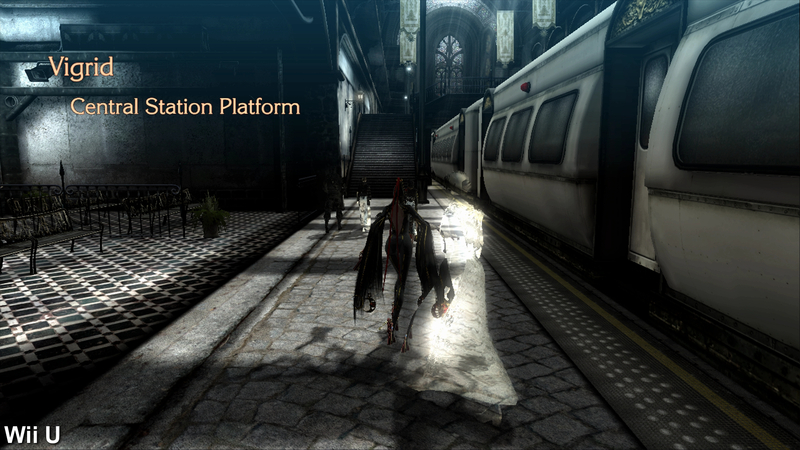 Texture filtering is also equally lacklustre across all three platforms. The chief performance bottlenecks shared between all versions of the game appear to be centred on fill-rate-heavy effects work including particles, post-processing, and layers of alpha textures. While most of these have been accurately implemented on Wii U, it seems that the developers have selectively removed certain effects during a few sequences. A selection of sequences placed side by side highlights just how close the 360 and Wii U versions really are. The lack of screen-tear on Wii U improves image quality immensely. Unfortunately, PS3 doesn't fare quite as well. Depth of field, for instance, doesn't appear in every cut-scene sequence where it was originally found. The effect doesn't come cheap, impacting the frame-rate on all versions when present. You can observe this when the effect is applied while displaying post-battle stats - the background is blurred and produces a 5fps dip on all versions of the game when engaged. Not surprisingly, this issue persists with Bayonetta 2 as well. Thankfully the effect is rarely used during normal gameplay, preventing this from becoming a real problem. What does have an impact on gameplay, however, is the use of particles and alpha effects. Engaging Witch Time, for instance, produces a shower of particles, generally incurring a good 5-10 per cent performance penalty while on-screen - this was an issue with the original versions of the game and persists on Wii U as well, with the frame-rate hit pretty much equivalent to the original Xbox 360 release. Alpha effects have a similar impact on performance as well with massive, close-proximity explosions triggering pretty serious frame-rate drops across all platforms. Wii U once again doesn't escape this issue, but it doesn't really dip much lower than the 360 version either. 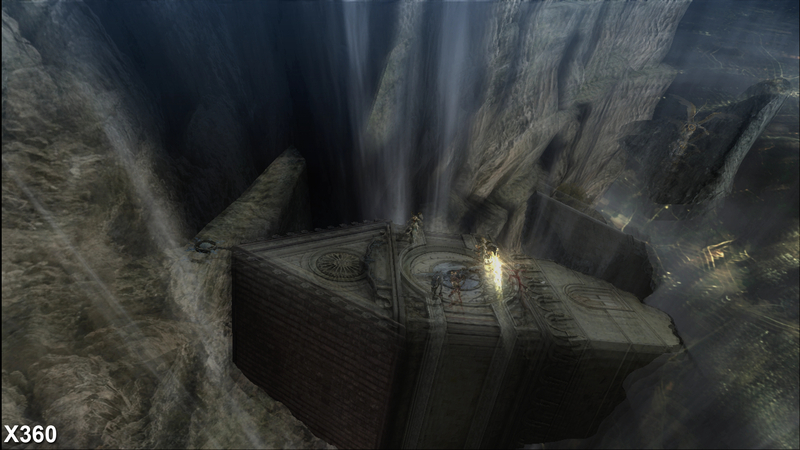 On PlayStation 3 these effects were rendered at a lower resolution compared to 360 but, in this case, the Wii U version is a match for the original release. This is a strong point for the Xbox 360 hardware and it's impressive that the developers were able to match this version in both quality and performance. Overall, the developers did a good job matching the performance of the original version, though some might be wondering what advantages the more modern, more powerful Wii U GPU brings to the party - v-sync aside, there's not much in it. This early section quickly highlights some of the differences. Note the accentuated detail texture layer on Wii U, the improved shadow rendering, and difference in white levels between the different versions. Notice the lack of depth of field in the Wii U shot. 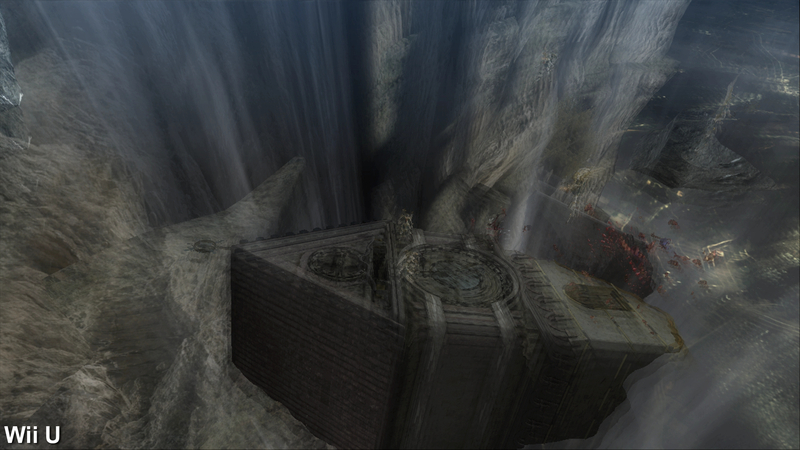 The original versions use the effect to add depth to the scene but, on Wii U, it has been completely eliminated. As this is a 30fps sequence its omission is strange indeed. Here we can observe the difference in how bloom lighting is rendered. 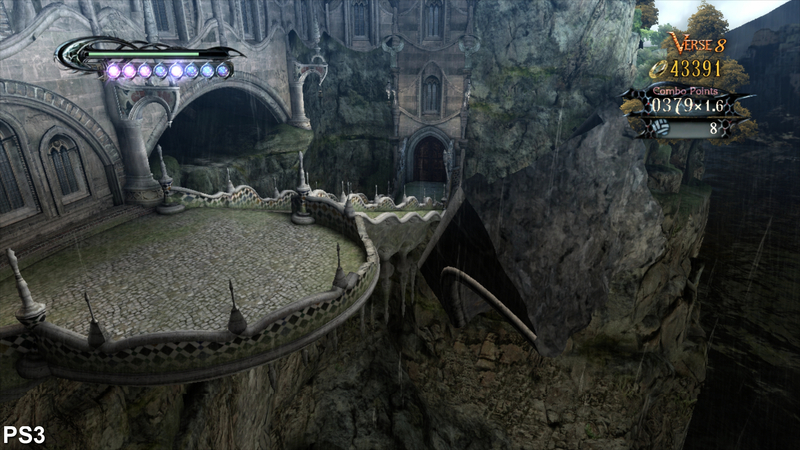 On Xbox 360 the effect appears much stronger, impacting both the sky and the scenery directly behind Bayonetta. For reasons unknown, the Wii U version occasionally displays its textures incorrectly. In this instance, note the clockface and stained glass window on this chunk of tower; on Wii U these textures appear somewhat garbled. Looking along the right side of the image one can observe the difference in how water reflections are handled between the three versions. On Xbox 360 and Wii U, the object motion blur used during cut-scenes appears virtually identical. On PS3, however, the effect is markedly different. Also note the difference in textures used for the windows in this scene. In general, the visuals between 360 and Wii U are very close, but we did run across one minor difference. Light bloom is used extensively on Xbox 360 and this appears to have been slightly pared back on Wii U. You can observe the difference in the sky just outside the train station where the effect is much stronger on 360. 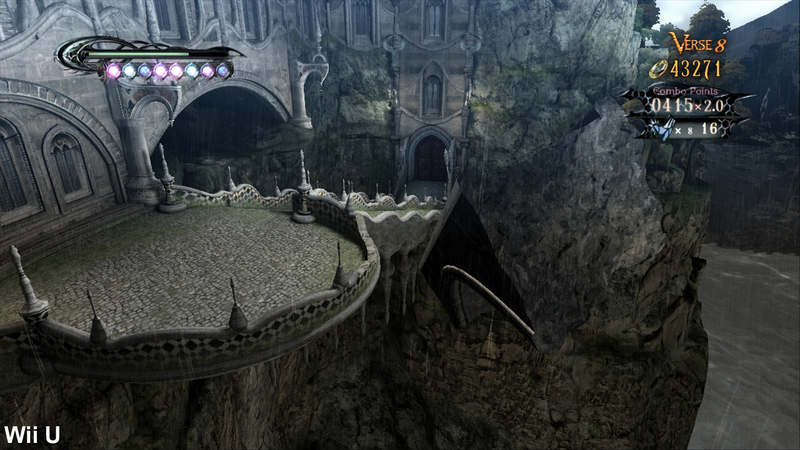 In addition, white levels are clipped on Xbox 360 at points leading to an over-exposed look in certain cases. In some sequences this does give the impression of punchier, higher contrast visuals on Xbox 360 but it's ultimately not something that stands out throughout a run of play. 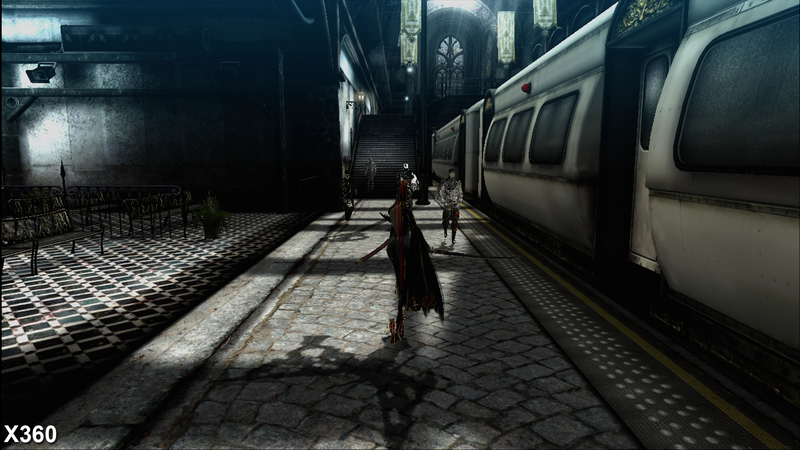 On the flip-side, shadow quality sees a nice boost on Wii U. The hard-edged, chunky shadows present in the original versions look much cleaner on Wii U. While the resolution isn't noticeably increased, the shadows now appear much softer and less harsh. 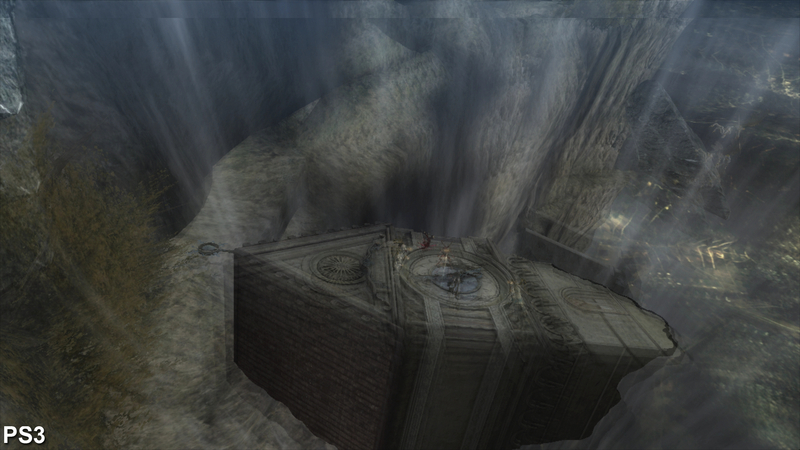 Water reflections are also subtly different on Wii U with reflections appearing much stronger than the 360's showing. With multi-platform titles, the Wii U has often struggled with lengthy load times but, thankfully, this isn't a problem with Bayonetta. In fact, the Wii U version of the game loads faster than the other two versions, even with the originals installed to the hard drive. Most loading sequences take between seven to eight seconds on Wii U while 360 requires a few extra seconds and PS3 lags behind that. Of course, we were only provided download codes so we could only test the game running from a USB stick. It may be interesting to see how the game fares running from a disc. 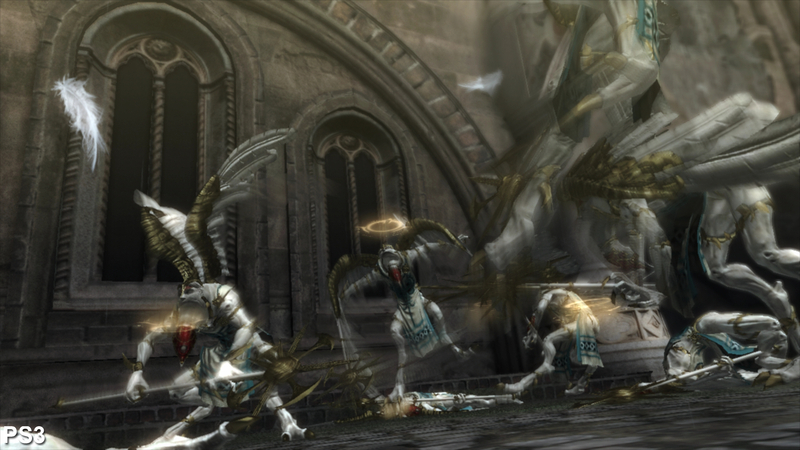 Of course, when discussing a game like Bayonetta, it's the stability of the frame-rate that is most important. 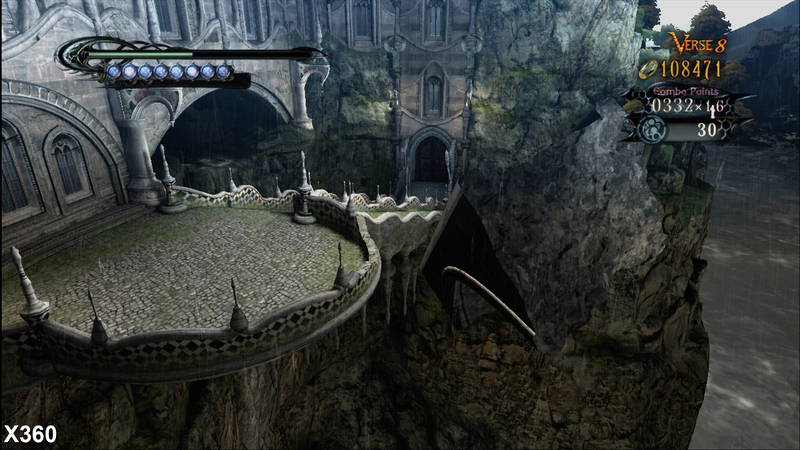 In its original form on Xbox 360 the game did a reasonable job of hitting its 60fps target while a soft v-sync setup allowed for torn frames when the game was unable to sustain its 16ms update. The same setup is used on PS3 as well but that version barely manages to sustain 30fps, let alone the full 60. 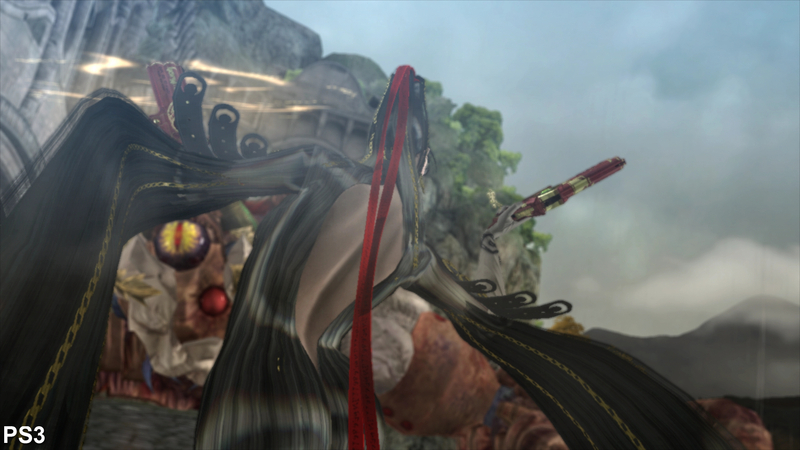 As we saw with Bayonetta 2, and nearly every other Wii U game for that matter, tearing has been eliminated in favour of a triple-buffering setup allowing for a variable frame-rate without the unsightly visual artefact. 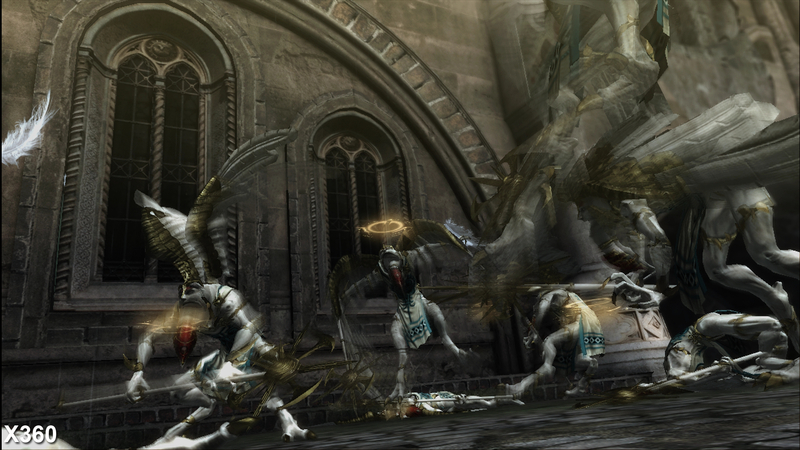 A three-way performance analysis pitting each version of Bayonetta against one another. Note the similarity in performance between 360 and Wii U while the infamous PS3 port lags far behind. How does the Wii U stack up against Xbox 360 then? To put it simply: very favourably. In fact, while it's difficult to nail down a 1:1 comparison due to the game's chaotic nature, similar sequences actually suggest slightly faster overall performance on Wii U. Coupling a slightly higher frame-rate with the elimination of screen-tear results in a smoother experience overall. Frame-rate drops occur in all of the same situations as Xbox 360, but the bulk of the experience seems to maintain its 60fps target fairly well indeed. 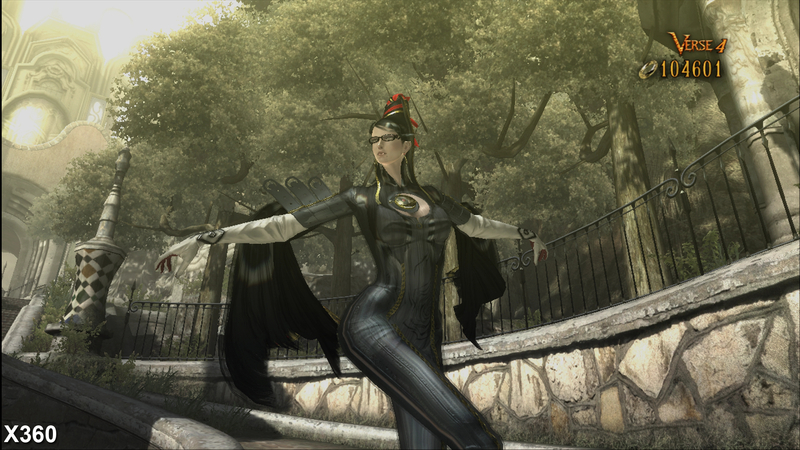 Taking the spread of games released by Platinum into account, it could be argued that the Wii U version of the original Bayonetta is the fastest-performing console game released by the studio to date, and in that sense it's a bit disappointing that the sequel fails to match the performance level set by its predecessor. 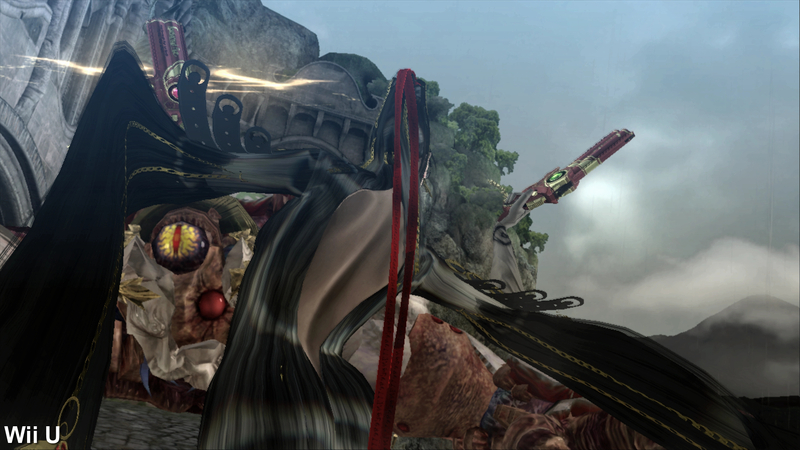 While the massive increase in set-piece complexity in Bayonetta 2 is certainly exciting, it definitely comes at a cost. 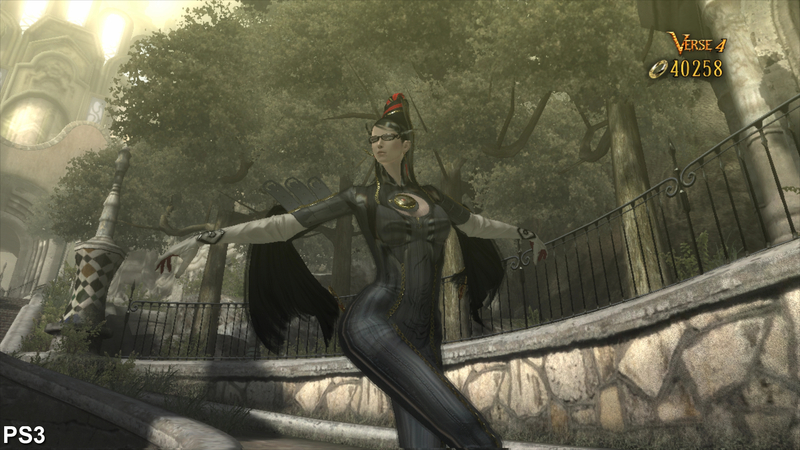 In that sense it almost feels like the original Bayonetta is the more finely tuned experience. Alongside the likes of Need for Speed: Most Wanted, Bayonetta stands out as one of the best ports available on the Wii U. It's clear that a lot of time and effort was poured into this release in order to preserve and in places improve upon the original experience. While it's not dramatically superior to the original Xbox 360 version, we'd have to give it the nod as the definitive version of the game. The elimination of screen-tear, faster loading, and solid performance levels make a huge difference. Whether you've played the original release or not, this is a great way to experience Bayonetta. The fact that it comes packed in with most versions of Bayonetta 2 makes it one heck of a bonus.